Typically, when you have a swollen pinky finger, you think that you have jammed it, or worst-case scenario, it is a gout issue. You would never think that a pinky finger deadly infection was lurking. For one 42-year-old woman, her pinky finger issue turned out to be more dangerous than she ever imagined. A 42-year-old woman went to the hospital with her finger swollen and hurting for over a week. She had not been in an accident and did not remember hitting the finger on anything. The doctors performed both x-rays as well as a CT scan. They found that the swelling in her finger was in the soft tissue and that the bone in her finger was fine. The doctors decided that further investigation was needed. They ordered a biopsy of her pinky finger, and the answer that they received was horrifying. 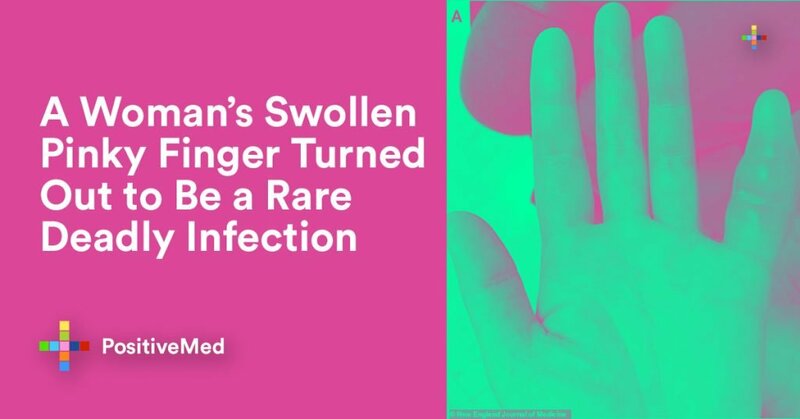 The woman’s finger had Mycobacterium tuberculosis. This is the bacteria that causes the tuberculosis infection. While this is a rare condition it is possible to be contracted, especially by those that have been in other countries, or by those that are around people who have vested these countries. It seems that the woman contracted TB from her husband who had gone on a trip to China. The woman had lupus, which requires you to take medication to suppress your immune system. This made her more susceptible to contracting tuberculosis. TB is spread from air contact. This means when someone coughs, and you are near, you are at risk for contracting tuberculosis. Often times, people make the mistake of thinking that TB only affects the lungs. However, it can affect other parts of the body, including the kidneys, brain, spine, and other parts of the body. It is extremely rare to get TB in a body part like pinky finger deadly infection, but it is not unheard of. Symptoms to look for are chest pain, coughing up blood, fatigue, fever, night sweats, chills, and loss of appetite. If you experience any of the symptoms, or your fingers swell and are painful, a trip to your doctor or the nearest emergency room is warranted. It is rare to contract tuberculosis in today’s world. Those more at risk for contracting TB include those who have autoimmune disorders, kidney disease, cancer, diabetes, and HIV/AIDS. When it comes to tuberculosis, early treatment is very important. Left untreated, it can become an extremely life-threatening disease. Seeking treatment if you suspect you have TB or have any unexplained symptoms including issues with your pinky finger should be of the utmost importance.